You know what's cool? Board games are cool. 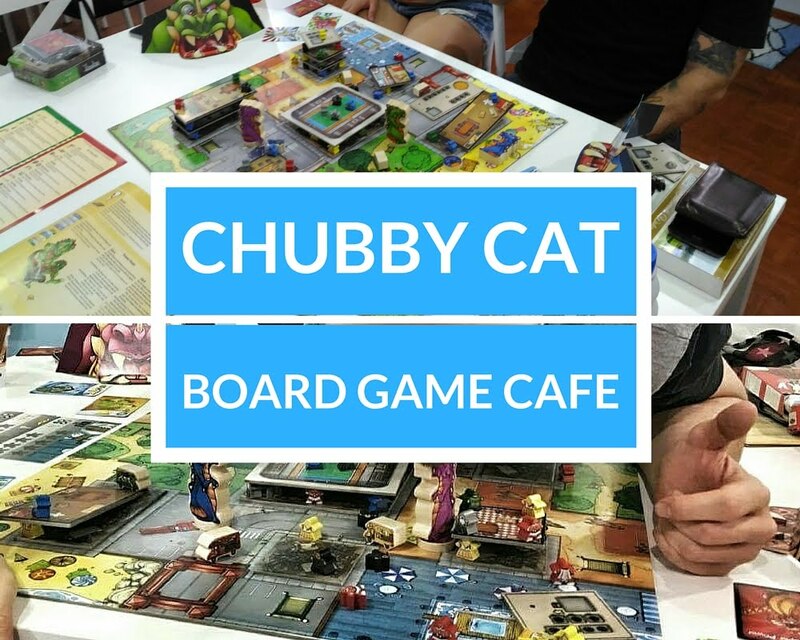 Once a week I spend four or five hours sat in a brightly-lit Board Game Cafe called Chubby Cat, trying to choose the most valuable sushi cards, get the highest tower of tiny plastic cappuccino cups or desperately trying to convince everyone that we really should learn how to play Settlers of Catan because a Tinder guy once said it was amazing. Our lives are becoming more and more dominated by our screens. I write online, meet new people online, chat with my mum on Skype, arrange events on Facebook, post photographs to Instagram, talk with friends on Messenger, use Whatsapp when I'm forced to and I've just purchased Age of Empires 2. And you know what, that's OK. I love my online life. But human connection is way, way better. There's more to board games than cardboard and counters. I honestly believe that playing them brings people closer together and results in more meaningful human connections and interactions. Some board games encourage you to share your glorious imagination, some get you teaming up with other players to strive for a common goal and some result in the kind of hysterical laughter that lights you up for hours. All kinds of people want to spend their evenings arguing over who gets to be the yellow piece. Board games have a reputation of being for kids, geeks and hipsters. If you think that, well... you're wrong. It's not just Dungeons and Dragons enthusiasts and single-gear bicycle riders that have encouraged entrepreneurs to open thousands of board game cafes all over the world. Chubby Cat is my favourite board game cafe in Chiang Mai so far. It's welcoming, clean and cheap. It's not fancy - in fact, it's pretty basic - but it's stocked with the biggest selection of games I've seen so far in Chiang Mai. Chubby Cat has wide appeal. I see all kinds of people there - travellers, Thai uni students, teachers, digital nomads, volunteers AND geeks and hipsters. I'm pretty sure that kids are welcome at Chubby Cat, but I hardly ever see any. It costs just 30 baht an hour, and you take your own food and drink. The evening food stalls on nearby Suthep Road sell rice, noodles, soup, meat, snacks, smoothies, dessert - you won't be hungry. There's a 7-11 right next to Chubby Cat for cheesy puffs, water and beer, and a coffee stand that sells delicious freshly ground 30 baht coffee. Turn up with friends, food and drink; choose from the Big Shelf of Games; and play. The Big Shelf has games like Settlers, Snake Oil, Game of Thrones, Sushi Go, Cappucino, Ticket to Ride, Exploding Kittens, Love Letters, Doggy Go, Meeples, Pandemic and more. I can't remember them all, but there's gonna be something you love there. You know another thing I love there? The guy who owns Chubby Cat. He's this friendly, smiley guy with a really nice voice. His time at Chubby Cat is spent time watching YouTube videos, playing computer games and teaching us how to play different games. Every so often he'll wander over to check who's winning, nod his head and wander back to his computer. The cards in each game are lovingly encased in plastic wallets to protect them from grubby paws and it's clear that games are this guy's life. He's great. Embrace the analog. Come play games with me? Oh and by the way, the most valuable Sushi Go! card is definitely the wasabi, followed immediately by a squid nigiri. You're welcome. Thanks for the write up, Amy. Can't wait to check this place out. Thanks you for sharing. . . ..